General Hospital Spoilers STUNNER: Carly Is PREGNANT!!! General Hospital spoilers reveal one heck of a surprise in the Corinthos household later this week. The rumors have been out there all week, but now they seem to be true and this is something Port Charles NEVER expected. According to the February 25, 2019 print edition of Soap Opera Digest, Sonny (Maurice Benard) and Carly (Laura Wright) are absolutely stunned to learn they have another child on the way and honestly, the fandom seems just as stunned. The pair known as ‘Carson’ seem to have more children than they can count, but they did only have one biological son together, and he’s been presumed dead since 2016. But, between them, there’s also Michael, Josslyn, Avery, Dante, and Kristina. 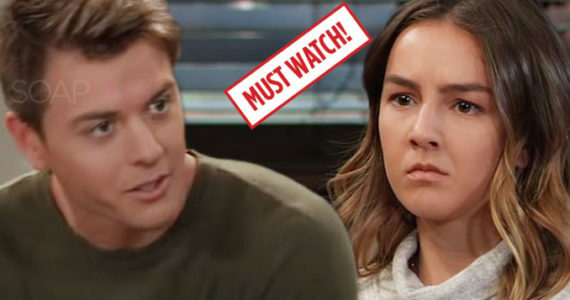 It seems Carly and Sonny have not had a story together just about them in ages, so this should be different and test them as an enduring couple. Nelle’s story was mainly about Carly and Nelle’s rivalry, while Mike’s story and the subsequent Croton murder mystery was Sonny’s. So, are you shocked about this unbelievable pregnancy? Remember, the two also have a grandson out there they don’t even know is alive. And, there’s always Morgan. Things can get very interesting for this pair indeed.